Data Integrity vs. Data Quality: How Are They Different? Data is incredibly valuable, but that doesn’t mean it’s always an asset. When companies work with data that is substandard for any reason, it delivers incorrect insights, skewed analysis, and reckless recommendations. Completeness – The data present is a large percentage of the total amount of data needed. Uniqueness – Unique data sets are free of redundant or extraneous entries. Validity – Data conforms to the syntax and structure defined by the business requirements. Timeliness – Data is up to date or relevant to the timelines referenced by the business requirements. Accuracy – Data accurately describes the real-world context it refers to. Consistency – Data is consistent throughout the dataset. Quality data must meet all these criteria. If it is lacking in just one way, it could compromise any data-driven initiative. Physical Integrity – Utilizing data is difficult when there are problems either storing or retrieving it. It raises questions about the data’s completeness, accuracy, and validity. The physical integrity of data hardware can become compromised due to age, malfunction, maintenance problems, natural disasters, or power outages. Logical Integrity – Data becomes illogical when it is incorrect or irrational in some way. Data has to “make sense” for its context. Otherwise, it distorts the perspective of anyone basing decisions off the data. Logical problems can happen because of design flaws, human errors, or software bugs. 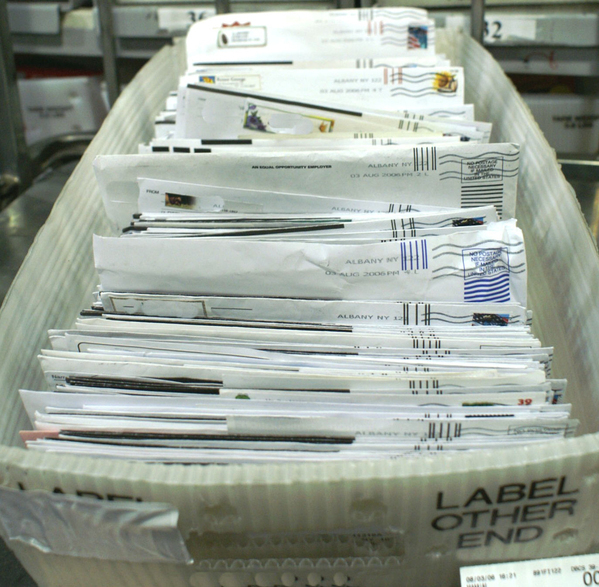 In 1993, the United States Postal Service discovered that 23% of all mail is incorrectly addressed. That figure is surprising considering that addresses are fairly simple pieces of data that are easy to store, reference, or remember. Widespread address mistakes are a good example of how easily data can suffer from quality or integrity problems. If the street number in an address if off by just one digit, the mail would not arrive at the right house. This is an example of poor data integrity because the data itself is invalid and untrustworthy. Now think about a person who has moved but not updated their address. The mail would arrive at the right house but not to the right recipient. This is an example of poor data quality because the data lacks timeliness, accuracy, and consistency. Data integrity and quality issues are inevitable, but they are not unresolvable. Companies that make a proactive effort to fix existing data issues and prevent future ones see better outcomes from all their data-driven initiatives. To explore this issue further, read our eBook: 4 Ways to Measure Data Quality. You want to make the most of your big data. However, data quality is paramount to achieving that goal. Implementing an effective data quality management program ensures that your data is of the highest caliber, making it not only useful but also profitable. Read on to learn what you need to know about building an effective data quality management program, including assessing your current state of data quality, putting data quality management strategies in place, and maintaining data quality management best practices. The first step to managing the quality of your data is to determine what state your data quality is in. Why is that so crucial? If you can’t trust your data, you can’t make the right decisions. The old saying “garbage in, garbage out” is true—the information going into the system won’t provide the right results in the end if it’s not accurate or consistent. How do you assess the state of your data quality? The process can be carried out with specialized software. It determines what the data quality rules are, defines them against the source data, and then reports on the results. Once you figure out what data quality issues exist within your information, it’s time to create data quality management strategies and then put them in place. The first step is to define data quality. You need standards to determine what good data is and what it isn’t. Business users can provide input on data quality management standards, which will shape corporate policy. What you must remember is that data quality management isn’t a one-and-done process. It’s ongoing—you can’t stop doing it, or you’ll find yourself in a situation in which you can’t trust your information. What steps can you take on a regular basis to uphold data quality management best practices? Performing regular data validity checks is one step you can take—you can’t sit back and hope no data problems arise. What happens when data problems do crop up? You have to log, track, and manage them. By ignoring them, you’re only letting data quality management issues fester and multiply. Conversely, when you know what those issues are, you can solve them to improve your data quality. It’s also critical that everyone in the organization is aware of data quality management best practices and adheres to them. If no one understands why data quality matters, they won’t take steps to maintain it. An education campaign helps spread this message throughout the firm, ensuring adherence to data quality management standards. Data is a source of value to organizations—as long as that data is consistent, accurate, and high quality. How do you ensure that? The answer is data quality management; by implementing data quality management best practices, you know your data is reliable and that it can be used to make the right decisions. To learn more, read our eBook: 4 Ways to Measure Data Quality. Syncsort has released a new eBook titled, “7 Steps to Building Tangible ROI for Data Quality.” Although organizations often lack insight into the quality of data used in everyday decision-making, developing a strategy that measures and reports on data quality metrics can help stakeholders craft a business case and ROI model to drive investment in data quality investments. A robust data quality solution automates many profiling and discovery processes, so the business and IT team can accurately assess project risks and measure the enhancement of information performance. By following the guidelines outlined in this eBook you should be able to develop a solid business case that will be acknowledged and embraced by executive leadership. Data is the most important resource your company owns. 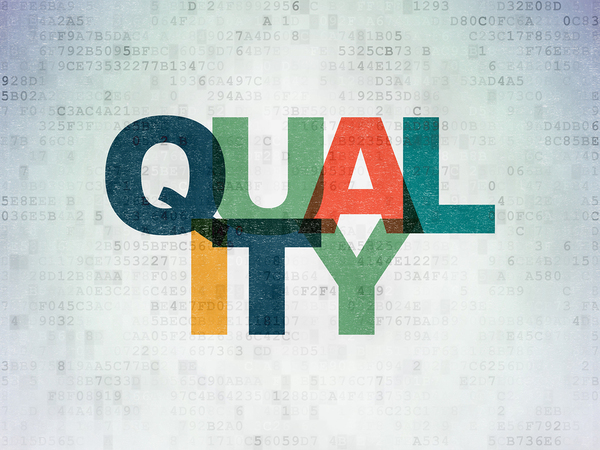 When your data quality is good, it’s a tremendous asset. But when your data quality is bad, it’s a serious liability. Anytime you’re making crucial business decisions using data-driven insights, you need to trust the underlying facts and figures. If they’re incorrect or incomplete, they could be skewing your perspective and leading you towards a disastrous decision. The worst thing about poor data quality is that you often don’t notice the problem until you feel the consequences. These issues sit unsuspectingly in databases, raising no red flags until it’s too late. You can’t hope to avoid them. The only option is to eliminate the current bad data and prevent any future bad data. Step one is learning what kinds of issues have the most significant impact on data quality. Once you understand the problem, you can target your solution instead of trying to clean up every piece of data you own. Redundant data doesn’t just waste space inside databases; it can also throw off calculations and lead to wildly misinformed insights. Data can be duplicated by human or machine error, but in all cases, it’s because of a bad integration effort. An automated system can identify and remove duplicate data while automatically combining data from across sources. A bad integration can also cause data to get deleted or lost. The missing data robs everything around it of context, rendering large data sets untrustworthy and unusable. Once again, a better approach to integration is the solution. Instead of doing things manually or relying on inflexible tools, integrate data using a tool that ensures it’s complete. Data stored in multiple formats may not be understandable to every system trying to access it. The problem may be inconsistent file types or even just mismanaged file-naming conventions. The consequence is that whole categories of data are segregated from users. Standardizing data manually is a huge undertaking. Thankfully, better integration technology can do much of the work automatically. 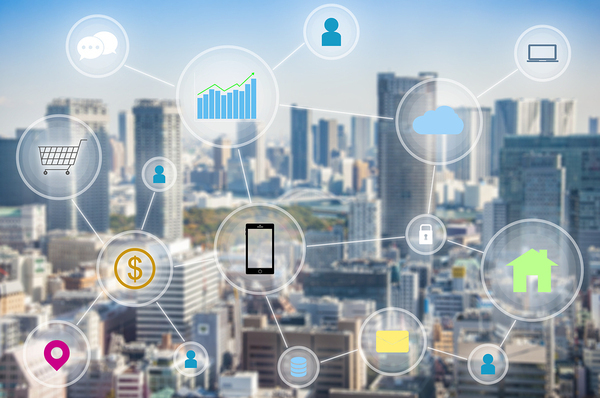 When there is a disconnect between mainframe data and big data platforms like Hadoop, it leaves mission-critical data out of analytics. Inconsistent data collection and storage policies can have the same effect. Creating a link to the mainframe and instituting enterprise-wide data policies makes information broadly accessible. The more accessible data is, the less secure it becomes. Companies may be able to extract value from it, but at the same time, they are putting themselves at risk. Data integration and analytics efforts can’t make data vulnerable. Emphasizing cybersecurity during the integration effort prevents data lakes from becoming prime targets. Bad data quality is a direct drain on companies. According to a Gartner survey, bad data cost each organization an average of $ 14.2 million annually as long ago as 2013. More importantly, the costs will continue to grow as companies become ever more data-dependent. Instead of making do, start addressing the issues directly: Explore the big data solutions available from Syncsort. Around the years 2000 to 2005, the trade press filled with articles on data quality. Several good books (see references) were written on the subject, and then it seemed to fade from the popular view. It really is something that should be taught in database classes, so the people will begin to design databases with quality in mind instead of trying to stick it on after something’s gone into production. Data quality should be enforced data quality at the system level, but this assumes that each of the individual tables and data sources within the system doesn’t have data quality problems. Quality is essentially a bottom-up process; if the inputs in the raw sources of data are clean and trustworthy, then the system as a whole can produce clean and trustworthy results. This is not guaranteed, however. Clean data is necessary but not sufficient for a quality database. Let’s look back in a time before most technologists thought in terms of databases and using software to ensure quality. There is actually an international job title, Certified Records Manager (CRM), which has been granted by Institute of Certified Records Managers (ICRM) since 1975. These people worked mostly with paper records and microfilm largely because 30 or 40 years ago, the laws required paper copies. And in some states, the color of the ink used was specified by law. One of the most important jobs of the records manager, particularly in insurance companies, was to make sure that you never kept anything too long. As a general rule, data is like vegetables; the fresher it is, the better it is and that if it gets too old, it’s useless. How long you had retained the old records was also a matter of law. In the insurance industry in the United States, this meant state-by-state differences in the laws and the retention cycles. The truth is that old data can be worse than useless. You could be required to produce documents in court cases, if you still had them, so all data became evidence against your company. It was also expensive to store lots of paper or microfilm records. Magnetic media is pretty resilient and very dense, and, if worse comes to worst, can be moved on to laser disks. It’s also a lot easier to move a bunch of bytes than it is to move a pile of paper or microfiche. And I haven’t even started to talk about what searching paper can be like! I have horror stories about driving across the state of Georgia to a warehouse to look for banker boxes for weeks. When digital storage with relatively simple retrieval became cheap, most companies stopped getting rid of obsolete data. The idea was that you could do data mining and get information out of it. After all, you had paid to collect that data. You should get something from it for your expense. However, now you have to worry about not just discovery in court cases, but privacy requirements. You now have to worry about PII (personally identifiable information), GDPR (General Data Protection Regulation) and whatever the next piece of legislation is. Instead of putting your data through a shredder, like was done with the paper records, it could be anonymized in a legally acceptable way and send it over to a data warehouse for analysis. One approach is to scramble the unique identifiers, so the individual rows are still represented. Another approach is to aggregate the data in some way that is still granular enough to be useful for analysis, but so aggregated that you cannot find individuals even under a constructed identifier. SQL has several advantages built into the language for data quality. Simple punch card and mag tape files that were used by COBOL depended on application programs to do any quality checks and to give meaning to the data. With SQL, much of this work can be put into the DDL. For example, decades ago a credit card company bought public records information and transcribed it on to punch cards. There was a small error in the punch card layouts. This resulted in the last column of a town name, which ended in the letter “D”, being punched one column over. Unfortunately, this was the encoding for “deceased” in the company files. The system began doing just what it was supposed to, closing out the accounts of dead people. Whoops! This sort of error would not happen in a correctly designed SQL database. First of all, datatypes and size in SQL are a property of each column, not dependent on the host program reading the data. The use of DEFAULT clauses, CHECK() constraints and REFERENCES prevents certain low-level kinds of bad data from ever getting in the schema in the first place. It is my experience that these features are underused. Look at some of your own schemas; have you prevented zero or negative values in the integer columns in your tables? Have you added CHECK(x IN (..)) on columns where appropriate? You want to be able to get these restrictions and constraints from a data dictionary when you are designing the system. Unfortunately, people very often knowingly put bad data into their tables, and then try to scrub it in place. Another choice is to set up staging tables and clean the data before it gets into the database. If you’re lucky, you will have a good ETL tool that matches your problem. In the real world, you should probably expect to have to write code to clean the data. But first look for tools. Some of these tools are third-party products, designed for particular types of data. The most common ones deal with mailing addresses, some standardized industry codes and regular expression software available from trade groups or the public domain. At a higher level of abstraction, there are at least four characteristics to ensure data quality. Is a concept missing? This error is going to be hard to correct. If you didn’t properly design your schema at the start, then you’ve got to go back and add the missing parts. Are there missing values in a column, rows in a table? Values can be missing because nobody knows what they are or because nobody bothers to collect them. One of the classic examples of that is when people do not fill out the repair history of capital equipment. Since the repair was quick and easy as part of a routine maintenance program, or for some other reason, it’s ignored. Very often missing values are not skewed in one direction or the other, so the aggregate is close enough to be useful. In my equipment example, the mean time between failure (MTBF) might not be significantly affected. What might be important is the type of repair being done; was it a part of planned routine maintenance? Or was it a very unplanned disaster? Or was it within tolerance (those light bulbs were getting old and there were expected to start burning out about now)? The rate of missing values is also significant. Once the missing data rate gets too high, the data has no value because the sample is not valid. You can do imputation with statistical models, but any time you try to use statistical smoothing techniques, you’re smuggling in many assumptions. How do you know what the statistical distribution of your data is? How do you know that what’s in your database currently is representative of the whole population? A quick check that you may have a problem is to look at how many columns in your database are NULLable and how many NULLs each of those columns has. Lots of NULLs are not automatically proof of low-quality, but they’re a pretty good code smell. How does the database compare with reality? Some things are easy to keep consistent in the database. Once you get a correct birthdate, it’s probably not going to change very much. However, you can expect at any time to have about 8% of the street addresses in error. Nobody’s particularly evil, but many people are mobile. This is especially true if the population is younger. Even if someone doesn’t move in a given year, there can be ZIP Code changes or streets renamed. Sticking with the example of street addresses, you’ll want to put in procedures for maintaining the accuracy of the data. The easiest way is to simply do a mailing and wait for the post office to return that which was not deliverable or to give you change of address notices. However, you would probably prefer not to make your customers into your quality assurance group. The bad news is that all too often, no one checks the accuracy of the data until the middle of an audit of some kind. There are sampling techniques which were developed for manufacturing applications. For example, during World War II, munitions had to be tested. Testing munitions is what’s called destructive testing; you cannot test 100% of your output. But what’s the right size sample? Sequential analysis is a technique that adjusts the size sample taken based on the results from each testing. The more errors you find, the larger your sample gets. Fewer errors mean smaller sample sizes. Data is going to come from many different sources. Ideally, if multiple sources are reporting on the same reality, then they ought to be consistent with each other. Since I’m writing this piece just after the US midterm elections, my current favorite example is the number of counties here in Texas where the number of registered voters is significantly less than the number of ballots cast in the election. The different data sources don’t have to be external. Different parts of the same system can lack consistency. One common problem is when employees or your customers are counted in several different categories in such a way that things are double counted. Another source of bad counts is work in process differences in which the data simply gets lost in the shuffle. Is the data useful for the task at hand? Imagine that you have a pretty typical inventory system. You’re pretty sure that your data is correct, current and everything is measured in the same way. However, you have nothing in the database to tell who supplied the parts; they become treated as a commodity. Then you get a recall notice from one of your suppliers telling you that one of their shipments is defective. The database is not going to help track down the bad parts and remove them from inventory or do the recall. You are missing a critical attribute that’s relevant to making decisions. Another concern for data quality is what environment you work in. If you are in an environment that has legal restrictions, then data quality is defined as keeping your database in a way that will not put you in jail. Today, ROI no longer means return on investment; it stands for risk of incarceration. In the United States, two of the most important sets of regulations they can face are defined by the Health Insurance Portability and Accountability Act of 1996 (HIPAA) and the Sarbanes-Oxley Act of 2002 (SOX). If you happen to work internationally, then you’re running into the GDPR regulations from Europe. Frankly, a database administrator is probably not qualified to handle the legal aspects of all of these things. This is why companies hire lawyers, accountants, and lobbyists. SOX leaves it up to the individual corporation to come up with internal control mechanisms for complying with the regulations. My recommendation is that most of us should not even try this. Look for a package that has been developed by a financial services company and make them criminally liable for any errors, omissions or illegal procedures. For an introduction, look at a series of online articles by Robert Sheldon (see references). The articles provide an overview of HIPAA and SOX and explain how these regulations affect DBAs. If you are old enough, you might have bought a television from Zenith Electronics (part of LG Electronics since 1999) which had the famous slogan “The quality goes in before the name goes on.” This company got it exactly right! Quality, specifically data quality, has to be good from the start. Unlike physical goods, data cannot be isolated, easily replaced or repaired. Data permeates everything in the enterprise, so bad data effects operations, decisions, and projections. Fix problems before they become problems! Olson, J. E., “Data Quality:The Accuracy Dimension”, ISBN-10: 1-55860-891-5; 2003. Redman, Thomas C., “Data Quality: The Field Guide”, ISBN-10: 1-55558-251-6; 2001. Wald, Abraham, “Sequential Analysis”, ISBN 13: 9780486615790; `947. Yang, R.Y., Ziad, M.,Lee, Y.W., “Data Quality”, ISBN-10: 0-7923-7215-8; 2001. By now, you’ve heard all about the advantages of cloud computing. But the cloud also has its downsides. Among them are the special challenges for data quality that arise when data and data applications move to the cloud. This does not mean that you shouldn’t use the cloud for storing and processing data. It does mean, however, that you need to take special care to manage data quality in cloud environments. Let’s explore how. Lest this article appear to have an anti-cloud bent, let me make clear that the cloud is by no means a bad solution for data management. When you move data and data analytics to the cloud, you get lots of benefits. The most obvious is scalability, or the ability to increase or decrease quickly the amount of infrastructure available for hosting and processing data. Other benefits of cloud-based data management include easy-to-deploy data analytics tools, because you can take advantage of tools that your cloud provider offers as a service. Managing data in the cloud can also help you to avoid network bottlenecks. If your data originates in the cloud and you store and process it in the cloud, you don’t have to worry about delays while you wait to move data over the Internet to an on-premise environment. In the cloud, you often have little control over how the tools you rely on collect and process your data. You have to use whichever tools your cloud vendors provides you, and your ability to tweak the way those tools work is typically limited. If you run Hadoop on-premise, for example, you can configure it and modify it to your heart’s content. But in the cloud, you’re stuck with whichever Hadoop-as-a-Service solution your cloud vendor offers. The reason that this can create data quality challenges is that it limits your ability to transform and standardize data in ways that make data sets consistent and predictable. When you move data within the cloud, or between the cloud and on-premise infrastructure (if you choose to do that), you run the risk of formatting problems, data loss, inaccurate timestamps and other issues that undercut data quality. For example, if you move block data from a virtual server disk into a cloud-based file-storage service, formatting differences could cause data quality problems. Or data could be damaged while being transferred over the network. Cloud data can become very big, fast. The fact that the cloud is so scalable makes it easy to store huge volumes of information in the cloud. The more data you have, the harder it can be to maintain data quality. Cloud services are always changing and being updated – and unlike software that you set up and manage yourself on-premise, cloud-based tools may not always notify you when they are modified. Changes to your cloud-based tools can cause data quality issues if, for example, a tool modifies the way it structures data and your other tools are not configured to handle the new format. 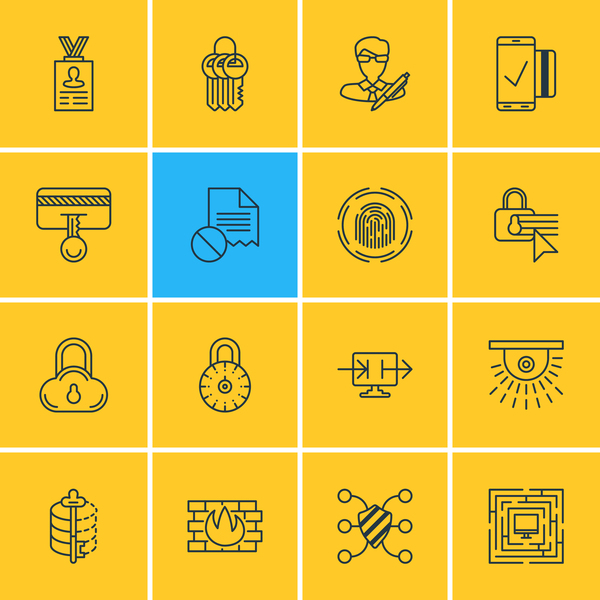 So, what’s a forward-thinking data management team to do? Avoiding the cloud entirely is not the answer; that would put your organization at a disadvantage by denying it the benefits of the cloud. Instead, you want to be sure that, when you take advantage of the cloud to assist in data management, you put data quality measures into place at the same time. The most obvious and most fundamental way of doing this is to ensure that you run automated data quality checks on all of your data, whether it is based in the cloud or not. You should always have data quality checks in place. At the same time, taking steps to minimize the number of data migrations between different services, or between the cloud and on-premise, can also improve data quality. So can a policy for archiving or deleting data from the cloud when you no longer need it, in order to avoid having your data sets grow too large and unwieldy. Finally, remember that you don’t need to use all of your cloud vendor’s data management and analytics tools if you don’t want to. You can always take advantage of the cloud for data management in some ways, while still performing other tasks on-premise – or in your own custom cloud-based environment. You could, for example, set up your own Hadoop environment, using a distribution of your choice, in the cloud, rather than adopting the Hadoop-as-a-Service that the cloud vendor supplies. The bottom line: It’s possible to enjoy the benefits of the cloud and ensure data quality at the same time. But it won’t happen without the right processes in place. For more information on achieving high quality data in the cloud, read TDWI Checklist Report: Cloud Data-Quality Tool Considerations now! Businesses today are increasingly dependent on an ever-growing flood of information. Whether it’s sales records, financial and accounting data, or sensitive customer information, the accuracy and adequacy of a company’s data is critical. If portions of that information are inaccurate or incomplete, the effect on the organization can range from embarrassing to catastrophic. That’s why you, as an IT professional, should be committed to ensuring that the information your company relies on meets the highest data quality standards. The term “data quality” refers to the suitability of data to serve its intended purpose. So, measuring data quality involves performing data quality assessments to determine the degree to which your data adequately supports the business needs of the company. A data quality assessment is done by measuring particular features of the data to see if they meet defined standards. Each such feature is called a “data quality dimension,” and is rated according to a relevant metric that provides an objective assessment of quality. Let’s take a brief look at each of these and at the metrics used in assessing them. Completeness relates to whether all required information is present in the data set. For example, if the customer information in a database is required to include both first and last names, any record in which the first name or last name field is not populated is marked as incomplete. The metric used in assessing this dimension is the percentage of records that are complete. Data is characterized as valid if it matches the rules specified for it. Those rules typically include specifications such as format (number of digits, etc), allowable types (integer, floating point, string, etc), and range (minimum and maximum values). For example, a telephone number field that contains the string ‘1809 Oak Street’ is not valid. The metric for this dimension is the percentage of records in which all values are valid. Timeliness relates to whether information is up-to-date for the intended use. In other words, is the correct information available when needed? For example, if a customer has notified the company of an address change, but the new address is not in the database at the time billing statements are processed, that entry fails the timeliness test. The metric used to measure timeliness is the time difference between when data is needed and when it is available. When critical linkages between data elements are missing, that data is said to lack integrity. An example would be a Sales Transactions table in which the customer ID points to a record in the Customers table. If a customer record is deleted without updating related tables, records in the Sales Transaction table that point to that particular customer become “orphans” because their parent record no longer exists. This represents a loss of referential integrity. An appropriate metric for data integrity would be the number of orphan records present in a database. If you’ve never done a data quality assessment before, it can look a bit daunting. But it needn’t be. Sophisticated automated data quality solutions, such as those provided by Syncsort, can make the process straightforward. Assessing data quality on an ongoing basis is necessary to know how well the organization is doing at maximizing data quality. Otherwise, you’ll be investing time and money in a data quality strategy that may or may not be paying off. Syncsort’s latest eBook, “4 Ways to Measure Data Quality,” takes a look at the variety of data and metrics that organizations can use. There are lots of good strategies that you can use to improve the quality of your data and build data best practices into your company’s DNA. Although the technical dimensions of data quality control are usually addressed by engineers, there should be a plan for enforcing best practices related to data quality throughout the organization. As an IT professional, you know what data quality means and why it’s important. But does your boss? If not, it’s time to explain the importance of data quality to the higher-ups in your company, in order to ensure that you have the tools and support you need to manage data most effectively. For the purposes of this article, we’ll assume that your boss lacks special technical expertise related to data management. We’ll also assume that his or her main goal is to drive business value and cut costs. We know: Those may be somewhat stereotypical assumptions. To be sure, not all bosses are technical know-nothings, and not all of them see the world only in terms of dollars and cents. Still, to a greater or lesser extent, these are the core challenges that many IT teams face when trying to gain support from management for the tools and processes they need to manage data quality effectively. Even if your boss has an above-average level of technical expertise, that skillset may or may not extend to the nuances of data quality. That’s why it’s important to develop a strategy for communicating the importance of data quality to your boss. The following pointers can help. You might think of data quality issues in terms of database index problems or dirty disk partition tables. But unless your boss works alongside you in the IT trenches on a daily basis, he or she probably doesn’t understand these technical concepts. That’s why you should talk about the importance of data quality using real-life examples that are easy for someone without deep technical knowledge to understand. For instance, you might say that a data quality problem occurs when a database contains multiple entries for the same person. That’s a pretty simple problem to understand. Similarly, you could discuss the example of foreign or special characters within words that are formatted incorrectly. Chances are that your boss has seen this problem in action, and can understand why this issue could cause data management challenges. Bosses might be sympathetic when you tell them how data quality problems make your job harder. But if they think that the problem stops there, they are less likely to be sympathetic, because a harder job for you does not necessarily mean a problem for the business. But when you explain that data quality problems can also impact customers — by, for example, leading to lost records or making it hard for support staff to reach clients — bosses are more likely to recognize the imperative of protecting data quality. You want your boss to understand that when you talk about the importance of data quality, you’re not just trying to get him or her to sign off on a purchase order for a new tool or server. You instead want holistic support for all of the people, tools, and processes that you need to get data quality right. Depending on your circumstances, improving data quality may require hiring new IT staff. It may involve purchasing new tools. Or it might require implementing new company-wide data management best practices. 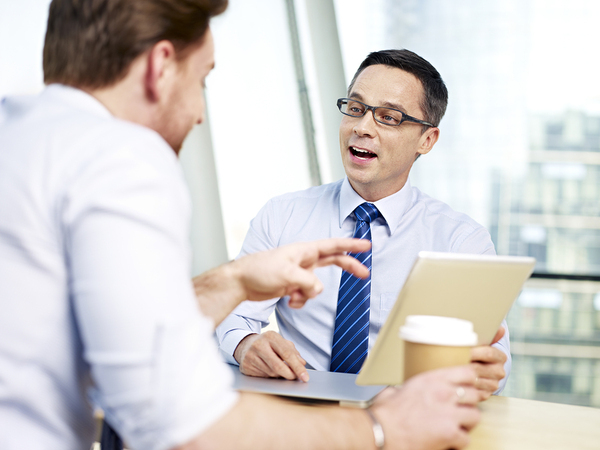 No matter what you need, you want to ensure that your boss is ready to help you get it. For similar reasons, it’s important to convey that achieving data quality is not a one-and-done type of task. You don’t just set up a new tool or process and consider your data quality problems permanently solved. Instead, data quality requires an ongoing commitment, as well as continuous monitoring and improvement. This means you’ll need your boss to be on board with data quality for the long haul. Revisiting the data quality conversation on a routine basis with your boss, and presenting data to show how data quality is improving over time — and could be improved further — is one way to help him or her appreciate the continuous nature of data quality. Finally, you want to make sure that your boss understands that data quality problems are not something that will go away on their own, or that you’ll just learn to cope with. On the contrary, they tend to become greater in scope, due to the ever-increasing volume of data that companies collect, as well the need to integrate data across diverse IT infrastructures that are composed of different types of legacy and modern technologies.